Most of the people do not know the difference between acne and pimples. Acne is a skin disease caused due to oil entrapment inside the hair follicles of face & around area. This causes skin to puff out. In many cases, bacteria, known as p. acnes, also gets trapped inside the pore, making the condition worse. Very importantly, one needs to understand that acne has various stages and should consult a dermatologist. Comedonal acne – mild acne that involves blackheads and whiteheads. It forms because skin oil called sebum, along with old skin cells, block skin pores. This acne appears often on the forehead, nose, and chin. Inflammatory acne – occurs when the area just under the the blackhead or whitehead becomes red and inflamed. Cystic acne – severe form of acne, it develops as the result of an actual infection in the area of the outbreak. Cystic acne often runs in families. It’s often very painful and can result in permanent scarring. There are various treatments available across, which can treat acne effectively. Although not every treatment works for everyone; but if causes, stage, and other factors are identified for an individual, a specific treatment can be applied to get rid of this disease. One should remember that no cure can remove acne overnight and it takes as minimum as 4 weeks to 8 weeks to see the results. Topical treatments – Cure which is applied on the skin in form of Medicinal creams/ lotions. They are used over the skin (for external use) which helps in reducing oil secretion and some are used to kill bacterias from skin surface. Creams containing benzoyl peroxide/ salicylic acid are commonly prescribed by the dermatologist. Medicines – in form of pill/ liquid which works on entire body. , mainly antibiotics to kill bacteria, reduce inflammation. It may also include Birth control pills for hormonal imbalances. Procedures – laser therapies, chemical peels etc. Lasers and other light therapies: reduce the p. acnes bacteria. 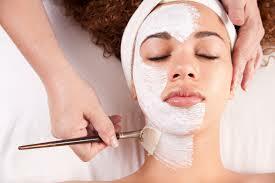 Chemical peels: to treat 2 types of acne — blackheads and papules. Acne removal: a procedure called “drainage and extraction” to remove a large acne cyst. This procedure helps when the cyst does not respond to medicine. It also helps ease the pain and the chance that the cyst will leave a scar. If you absolutely have to get rid of a cyst quickly, your dermatologist may inject the cyst with medicine. Results: As already advised, one shouldn’t expect a vanishing result overnight, instead they should ensure a proper treatment, regular cleansing and certain precautions to maintain the treatment effectiveness. Without treatment, acne can cause permanent scars, and may imbalance your confidence for social gatherings or even individually. To avoid these possible outcomes, we recommend that people should get treated for acne. When the skin clears, treatment should continue. Treatment prevents new breakouts.